Devoted mother to two beautiful daughters, self-proclaimed introvert, Real Estate nerd, and IT Goddess. Anyone that know me know that my kids are my life. I am the single mother of two of the most beautiful/talented/intelligent/independent/strong daughters. I could not ask for anything more than them, but as kids do they grew up and leave home. I have learned to embrace my new life spending the last couple of years learning how to live my life without them in my day to day. This, as I keep telling myself, is a good thing. I have made great new friends, connected with family members in ways that I never have before, and created a new relationships with my daughters that are even stronger than the ones we had before. I even joined Zonta and make the occasional appearance at the Chamber After Hours. 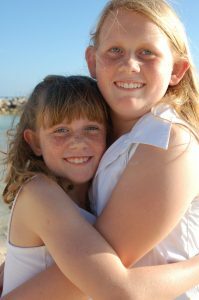 Being a single mom, I moved to the Fabulous Florida Keys some 20 years ago to raise my girls. I grew up in West Palm Beach and wanted a different life for my kids. So we took a chance, moved south, and never looked back. I have been a Real Estate Appraiser for almost as long as I have lived here and love the history of this town, its people, and the Keys in general. My head is full stories from the old days and plenty of little known facts that fascinate only me. If you’ve lived here long enough you have had the great pleasure of knowing my boss and mentor Alan Schmitt. On a regular basis I let him know that I am still here running his company, doing him proud, and that some man has not swooped me up and moved me to Alaska yet. Computers run in my veins. My Dad is an IT genius and I am more than happy to follow in his footsteps. How else is a girl supposed to connect with her father? I am a nerd through and through. I grew up around computers and have always had a knack for them. In 2010 I went to work for the City of Marathon where I immediately became aware of how little I new about them. Over the years the great employees of the City trained me very well and gave me some of the skills I have today. After leaving the City in 2017 I bounced around for a while before Mark of All Keys Computers finally convinced me to come and work for him. It has been a wonderful experience and I look forward to growing his business with him for as long as he will put up with me. Since my kids departure I have learned to fill my life with my beloved friends (you know who you are), my sweet puppy Abigail (she’s 13), and many many many twinkle lights. And Miles, I cannot forget Miles (his European name is Kilometers). This puppy belongs to my girls but has been know to spend extended periods of time with me. I am a mother, a daughter, a sister. I am my own person. I am strong, smart, shy, passionate, courageous, and generous. Cooking barefoot is only one of my superpowers.